Our technicians are committed in ensuring safety through programming your door remotes. Automated garage entrances are an absolute blessing. They mean no more getting out of your car and having to lift the thing by yourself. Whether it’s because you don’t want to injure yourself opening it, be forced to face nasty weather for a moment, or you’re just plain tired after coming home from a hard day’s work, the last thing you feel like doing is making the trip to and from the garage to lift it; we’ve all been there. 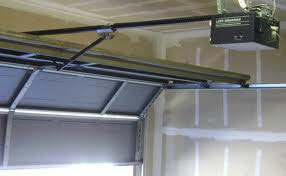 Whatever your reason for wanting one, Garage Door Repair Neptune Beach has everything you need. Our company has everything you need in terms of garage door opener solutions to make your home improvements easier to manage. We can help you select, install, upgrade or maintain your setup by supplying you with all the remotes, parts and accessories you could ask for. Our company is stocked with top of the line equipment and manned by savvy technicians who will make sure you get your home improvements right the first time. With our products and services you don’t have to do it yourself, that’s why we are here. Taking matters into your own hands and going the DIY route to install the system you want is an option, but of course no easy task. It is also dangerous. You don’t want the door getting stuck or dropping unexpectedly at a bad time, that’s assuming you don’t hurt yourself while installing it yourself. Our stock and skill are what makes us a leading name in the home improvement industry. We stock products made by trusted manufacturers such as in our range of Genie openers. Garage Door Repair Neptune Beach stocks belt drives, chain drives, direct drives and screw drives of varying strength, as well as features like batteries, wall controls, motion sensors and smart devices to give you the best quality assistance your budget can buy. There’s really no point in getting yourself hurt installing the opener by yourself, it’s not really a one man job. Trust our experienced team to do it for you, they have been in the industry for a while and know exactly how to get the job done right. A wrongly installed system could lead to an expensive disaster if it fails or suddenly falls down, so the safest bet is to let the professionals take care of it. Having trouble getting your device to do what it’s supposed to? That’s not a problem as we repair openers just as expertly! There is no damage too great for our experienced staff to handle and our business does it at affordable prices, and so a broken motor or bracket doesn’t have to mean a broken bank account. So if you’re looking for the perfect garage door repair company who knows what they’re doing, have a look at our website and see if there is anything we can help you with or contact us at your leisure and we’ll be happy to help open doors for you and your home improvements.